If you are looking for a job and love Hoagiefest, good news - your neighborhood Wawa is hiring. Wawa announced on Thursday plans to hire more than 5,000 new employees during the next three months for its 750 stores. The company is looking to fill customer-service and management level positions. "We are excited to launch our spring hiring campaign to recruit new Wawa associates. 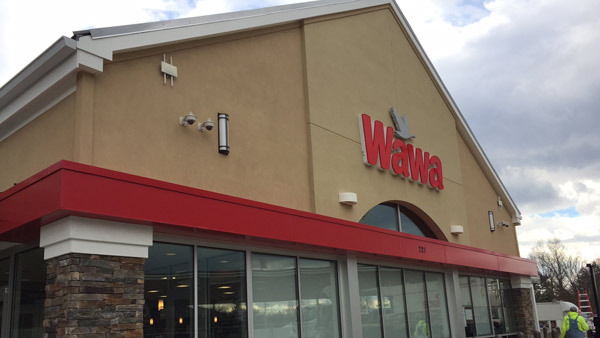 As a company, part of fulfilling lives means adding jobs for new associates, while also providing advancement opportunities for the more than 30,000 Wawa associates who are part of our team," Dave Filano, Manager of Talent Acquisition at Wawa, said in a statement. In addition to every Wawa store hiring new positions, some stores will host open houses called 'Wawa Career Wednesday.' They begin March 29 and run every Wednesday through April 19. Wawa says these open houses give jobseekers the opportunity for a brief, first interview and to learn more about working at the company. Stores hosting 'Wawa Career Wednesday' events will have signs announcing the dates and time of the open house. Those interested are encouraged to apply online at Wawa.com prior to attending an open house event.